It’s so wonderful to be able to post good news about Glen Canyon and its wildlife. Wildlife photographer Janet Kessler recently sent around this item about a one-eyed owl that has been released in the Canyon after rehabilitation. Rehabilitated One-Eyed Owl Returned to the Canyon! 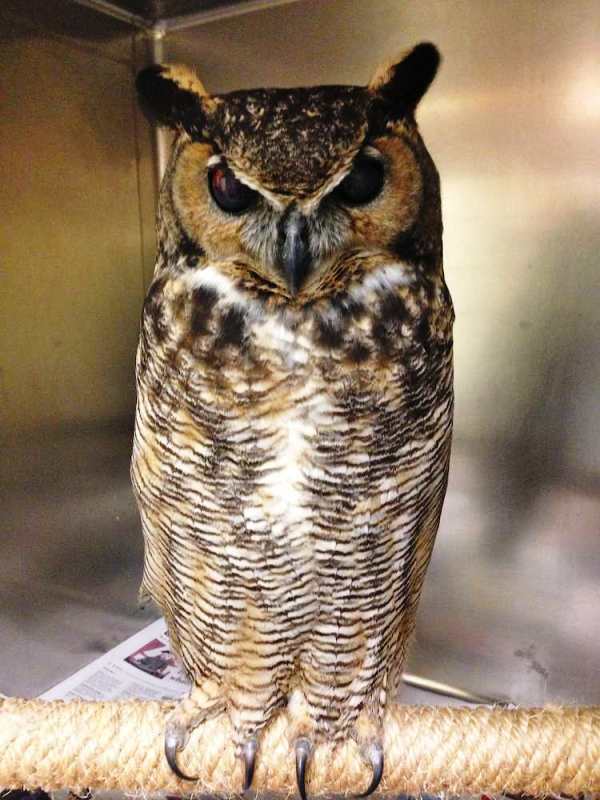 The injured owl found in a Glen Canyon neighbor’s yard in September has been rehabilitated and returned! We now have a one-eyed Great Horned Owl living in the area! The Peninsula Human Society (PHS), which rehabilitated the owl, found blood pooling in both of the owl’s eyes — something often seen with head trauma, and there was ulceration of one eye. However, unusually for trauma, there were no broken bones and the beak was not injured, so the cause of the injury still remains a mystery. 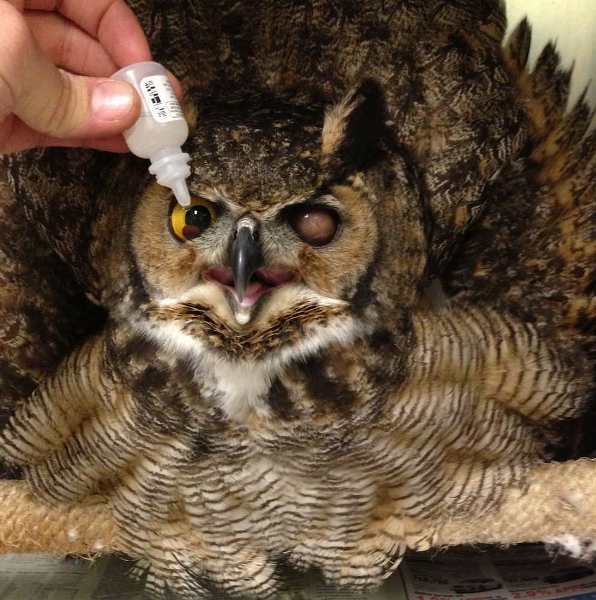 The PHS treated the owl for a month with antibiotics and anti-inflammatory pain medication, and kept the owl long enough for the blood to drain out of the eyes. When all was said and done, one eye had recovered, but the other will remain permanently blind. A friend suggested we name the owl “One Eyed Jack”! Great Horned Owls have large eyes proportional to their bodies, so removing the blind eye was not an option since this could have affected the owl’s balance during flight. Even with one eye, this owl will be able to perceive depth and hunt accurately. The asymmetrical ear positions on the sides of their heads help owls perceive the location of their prey. Please call Animal Care & Control, WildCare (a rescue organization), or Peninsula Humane Society if you find an injured wild animal. There is a possibility the animal can be saved, and it definitely can be kept from further pain. This entry was posted in Impacting Wildlife and tagged Glen Canyon Park, Janet Kessler wildlife photographer, owls. Bookmark the permalink.